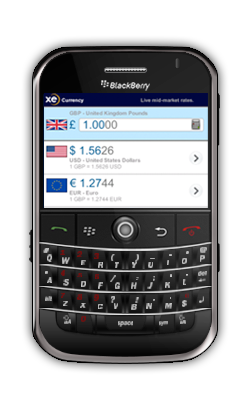 Convert 180+ currencies on your BlackBerry device with the world's most downloaded foreign exchange app- XE Currency. It features up-to-the-minute exchange rates, historical charts, and even stores the last updated rates, so it works offline. With over 55 million downloads, this FREE and simple currency calculator has been featured by the BBC, the LA Times, CNN, and The Travel Channel! 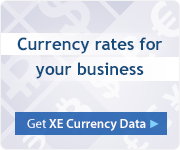 The XE Currency App is also available on iPhone, iPad, Android, BB10, Windows Phone, Windows 8 & XE Currency Converter for Shopify. 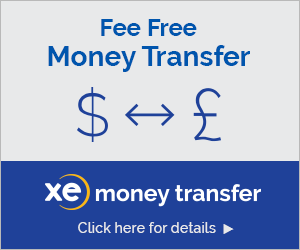 The XE Currency Bot is also available on Alexa, Slack, Google Assistant & Facebook. Love our App and Bot? Having technical problems? 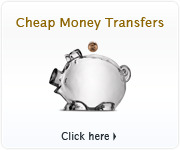 Check out the FAQ or Contact us.